How To Attract Birds To Your Garden. What You Need. If you love watching birds, love seeing them in your garden, and love the songs that they sing to each other, then you probably want to attract more of them to your garden. Doing that is not very difficult at all. You simply have to make your garden as bird friendly for them as possible. Do that, and they will keep coming back day after day. After all, birds dont need a lot to be happy. If you give them the basics - water, shelter, and food, they will be more than happy. Water is an important necessity for birds. They will usually get most of the water that they need through a combination of insects that they eat, wild fruits, the rain, and even the morning dew. In the winter time, they can get some of it from snow. But, if you are looking to attract birds, what they really love is open water. It attracts birds for a number of reasons. One thing is that it provides them with an opportunity to bathe and give their wings a good cleaning - which helps them to fly. Thats why, if you can possibly find a place for a bird bath in your garden, do so. 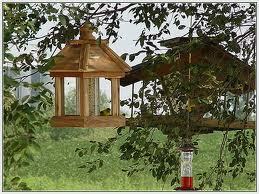 You will find that it will end up attracting a lot of birds to your yard. And, in the winter time, when open water can be hard to come by in some places, this is especially true. And, a heated bird bath makes all the difference in the world as it keeps the water from freezing to ice. The second thing that birds will be on the lookout for is shelter. And they want it for a number of reasons. With shelter, they are shielded from predators, they are protected from the wind and rain, and it gives them a place where they can safely build nests and raise their nestlings. Birds love to find birdhouses that are waiting, and ready for them to move in. If you place them in your garden, you can be sure that the birds will love them. And it will provide them with an additional reason to choose your garden to raise their nestling instead of another place. Lastly, birds need food. At certain times of the year, when insects are plentiful, food is not a big problem for birds. But in times of drought or in the winter, food can sometimes be hard to find. In addition, when it is cold outside, birds need to eat a lot more food than normal simply to keep warm. So at a time when they most need food, they can find that it is in scarce supply. If, however, you can help them out by providing feeders filled with their favorite food, once they locate the feeder, you can be sure that they will continue to come back for more.